There is nothing simple about construction projects. 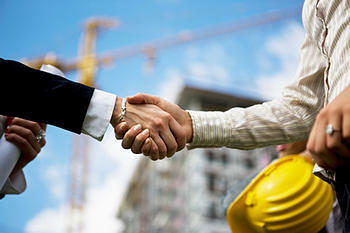 And there is nothing predictable about the types of issues that can and often do arise during construction activities. From allegations of defective design, improper construction, or claims of delay, the construction process is filled with potential legal problems. At Shuttleworth PLLC, our attorneys are experienced in dealing with a wide variety of issues related to the construction industry. Our clients have included individuals and entities in the construction process from architects to subcontractors. If your business is involved in the construction industry, and you find yourself facing issues that you need help resolving, let the team at Shuttleworth PLLC construct your case and let you focus on constructing buildings.